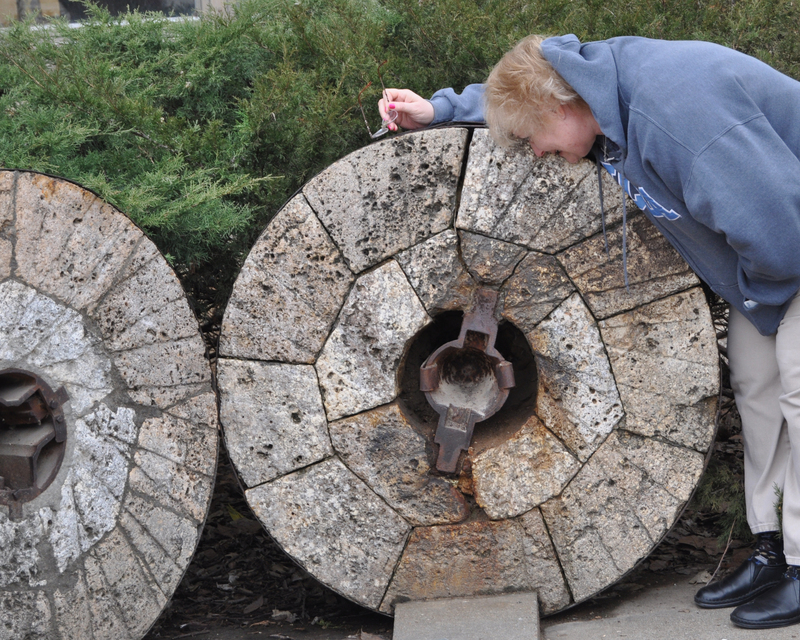 Here’s Velda’s nose, firmly planted to the grindstone … heritage millstones used to grind wheat in pioneer days, and now displayed on campus at Kansas State University. And, yes, she’s wearing a UCLA hoodie. She has to represent!